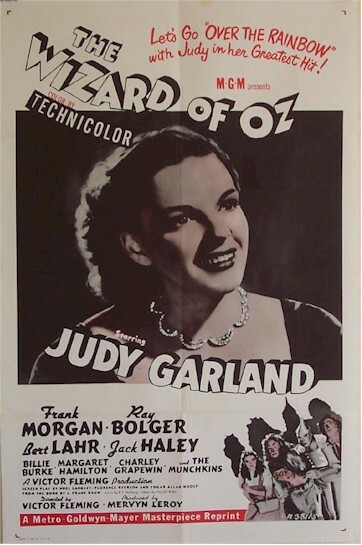 1955 - This is an ORIGINAL movie poster for the 1955 re-release of MGM's 1939 classic, THE WIZARD OF OZ starring Judy Garland. This is a one sheet poster, measuring 27" X 41". 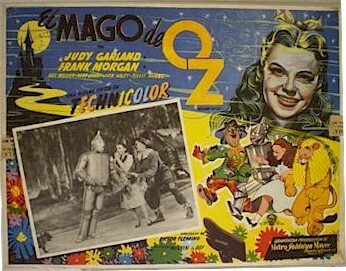 Once in a lifetime opportunity to own a very rare and exceptional "Wizard of Oz" movie poster Treasure! 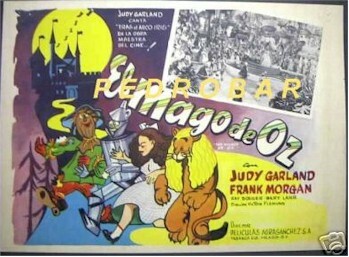 Original Mexican release lobby cards from the "Wizard of Oz". Great artwork makes these cards even more appealing then the US release cards. 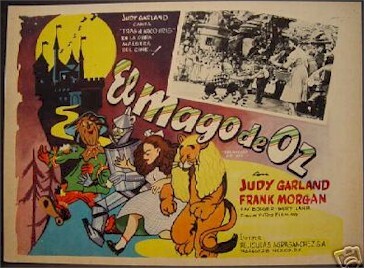 The great animated images are indeed unique to the Mexican versions. Larger then the US cards, about 13x17" each. The "Pedrobar" is NOT on the card, just the image. All in very good + condition.